It was an interesting weekend for the @MaineSkiFamily crew. After getting shut-out at Black Mountain of Maine on Saturday due to extremely high winds (and below zero temps) we called an audible and hit up Saddleback on Sunday. Social media hinted at stellar conditions at Saddleback, and the wind managed to calm down to give us an enjoyable but cold ski day. And then we watched with the rest of New England and celebrated a Patriots Super Bowl win! basically hung out on the upper mountain Quad lapping glades and some of our favorite natural trails. We found Wardens Worry to be the pick of the day. The wind kept blowing in fresh snow so each run was as good as the last. It was a bit scratchy on the first head wall on the cross cut from Tight Line (The old man fell on the head wall 3 out of the 4 times we did the trail but it was worth it!) Peachy's Peril skiers left was stellar, and the Nightmare glade (Upper and Lower) did not disappoint. Saddleback re-opened its Casablanca glade. They had to clear a lot of blow downs and dangerous obstacles from a storm earlier in the season and one has to ski with caution, but we found the #1 and #2 sections to be deep, fluffy and very fun to ski. It was cold! However, we geared up and covered all our skin, and took frequent breaks and had a most enjoyable day. The wind blew strong at the top but once you got into the trials the wind was calmer. 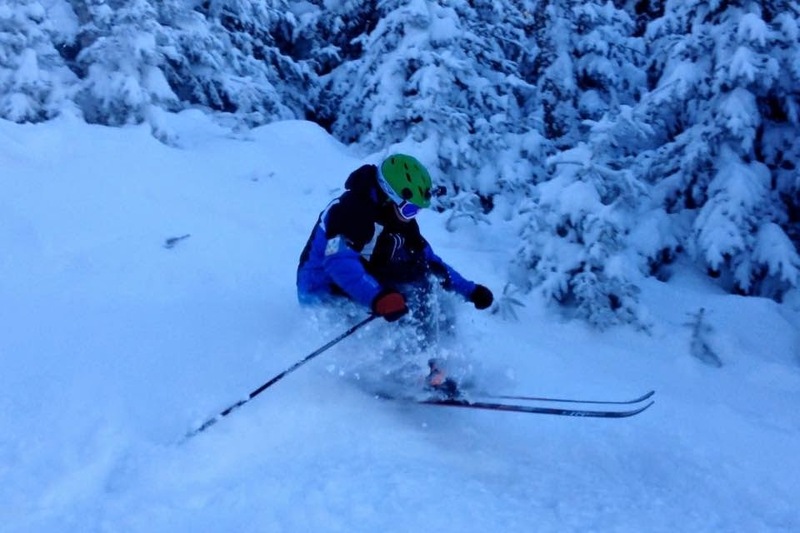 With even more snow today (February 2nd) and perhaps more later in the week... we are on quite a run skiing in Maine! Here is a video of our ski day. It was super-cold so the batteries didn't last long in the GoPro and Phone camera's but we got some good shots in. Saddleback Feb. 1st from Alec Salisbury Photo & Video on Vimeo.